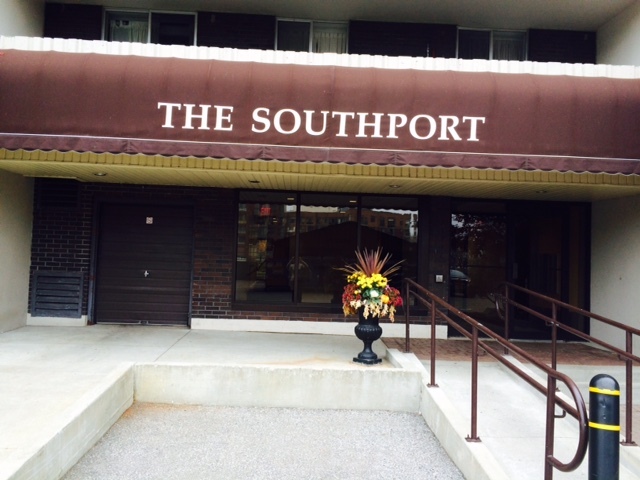 Southport offers exceptionally spacious two-storey unitsâ€”with suites starting at nearly 1,000 square feetâ€”just west of Toronto's magnificent High Park. Located just north of the Queensway and its all-night 501 streetcar, this mid-rise situates you steps from gourmet grocers, Sunnyside Beach, the 350-kilometre Martin Goodman Trail, the Humber River, schools, community centres, ice rinks, and the many attractions of High Park. With a focus on fitness-geared amenities including an outdoor tennis court, swimming pool, and full gym, Southport is a perfect destination for west end-dwellers who love to get outside and stay fit in a spacious family neighbourhood that's drowning in green space.